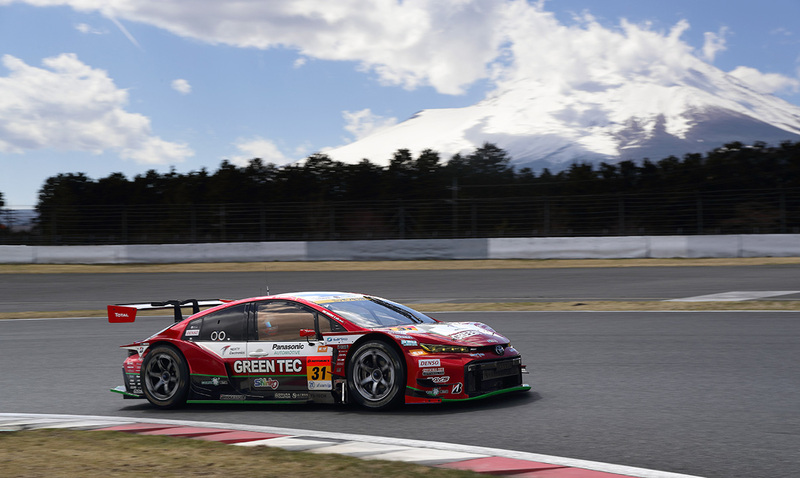 The Prius Plug-in hybrid may be an unlikely candidate for international sportscar racing, yet the car has already impressed during pre-season testing for Japan’s 2019 Super GT Championship, says Toyota. 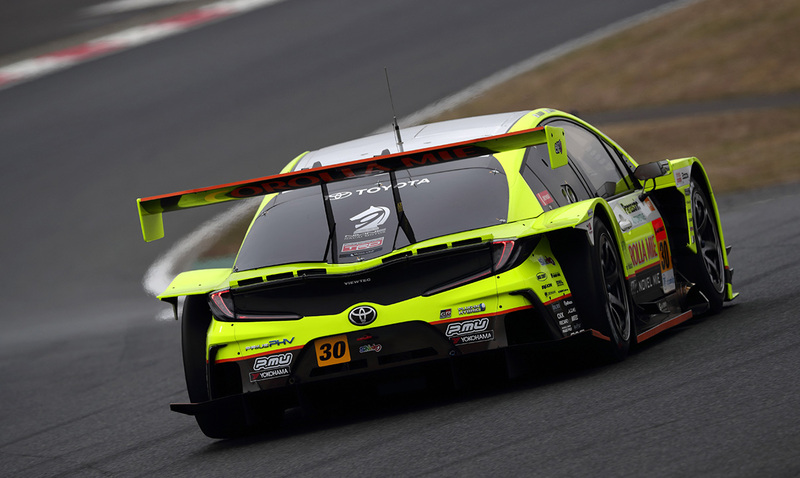 APR Racing, which partners with Toyota on the Prius’s development for the race track and ran the race team previously in the Championship, said that it would retire both of its Prius competitors at the end of the 2018 season. 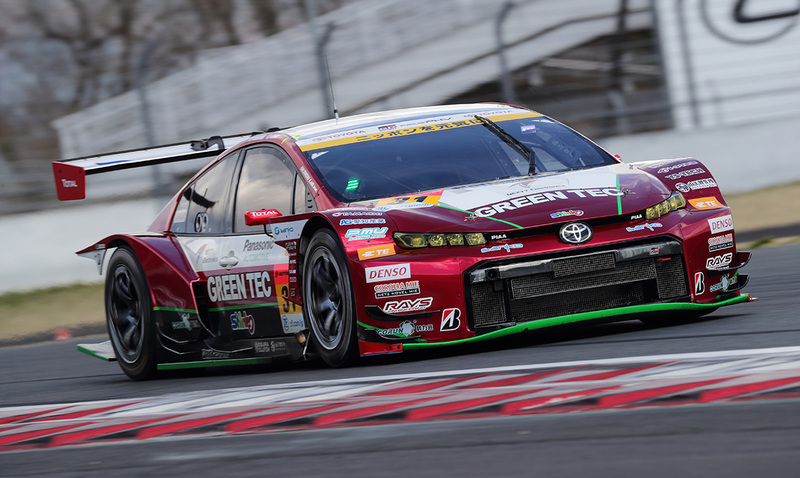 However APR Racing has recently revealed that its replacement for the Super GT Prius is to be a Prius. The Super GT Championship consists of two classes, both of which race concurrently. The top GT500 class is populated by the most powerful machines and is usually reserved for manufacturer-backed teams, while the lesser GT300 class is primarily aimed at privateer teams and tuners. GT300 is open to three types of vehicle. The first is FIA GT3 specification cars, such as the Lexus RC F GT3; the next is known as a ‘Mother Chassis’ car, in which a regulation carbon fibre monocoque is dressed with a recognisable silhouette, the GT86 being a particular favourite in this category. The final subset must comply with JAF (Japan Automobile Federation) GT300 regulations surrounding heavily modified production cars. It is this latter type that the new Prius Plug-in is built to. 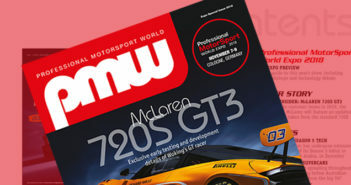 The rules dictated by JAF state that a series production car must be used as the basis of the competition version entered in the GT300 category. However, after all modifications have been carried out, little remains of the original vehicle. In the case of the GT300 Prius Plug-in, only the A- and B-pillars, half of the roof, some of the floor pan and elements of the front bulkhead remain of the road-going car. The rest of the chassis is constructed from sections of tubular steel to carry the engine and transmission. With regards to the engine, the JAF GT300 regulations allow for any powerplant made by the vehicle’s manufacturer to be installed. On the two previous versions of the Super GT Prius, the naturally aspirated ‘RV8K’ 3.4-litre V8 motor was employed, which was the same engine Toyota installed in the TS030 Hybrid for its 2012 FIA World Endurance Championship campaign. However, spare parts for this bespoke racing engine have become scarce, so APR Racing was forced to revisit Toyota Motor Corporation’s engine catalogue for the 2019 season. APR’s solution was to adopt the 500bhp 5.4-litre V8 from the Lexus RC F GT3 car, albeit modified for this application. Unlike the outgoing GT300 Prius, which had a mid-engine layout, the 2019 car has its engine up front. This is due to a change in the regulations that requires all vehicles to place their engines in the same location where they are found in the production car. This was the primary reason why APR had to retire the old Prius and engineer an all-new competitor. Importantly, the race Prius remains a petrol-electric hybrid, using a hybrid system derived from the domestic Toyota Crown Hybrid model. However, instead of a traditional battery pack it features an experimental capacitor pack mounted in the passenger seat area – a special developmental unit which is being tested for potential future production car use. 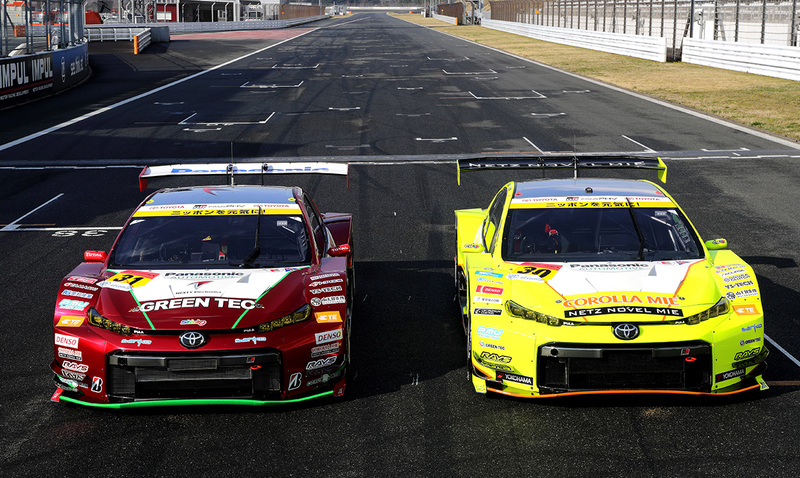 There will be two examples of the race-specification Toyota GR Sport Prius on the grid in the 2019 Super GT season. 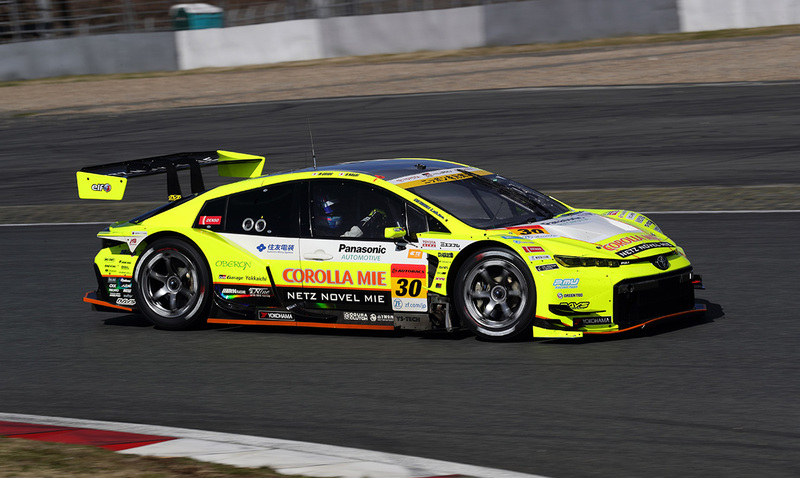 The dayglow yellow #30 car is running Yokohama tyres and will be piloted by Hiroaki Nagai and Max Orido, while the red #31 car is running on Bridgestone tyres and will be driven by Koki Saga and Yuhki Nakayama. The 2019 season begins on 14 April with the first round held at Okayama International Circuit.